Architect: Albert Kahn Associates, Inc. This complex 204,000 SF renovation project converted vacant space into patient floors with a total of 203 new beds. The scope of work also included support work in multiple mechanical spaces to provide new equipment and four new air handling units. The patient rooms included 92 med-surge rooms, 37 observation rooms, 56 ICU rooms and 18 isolation rooms. 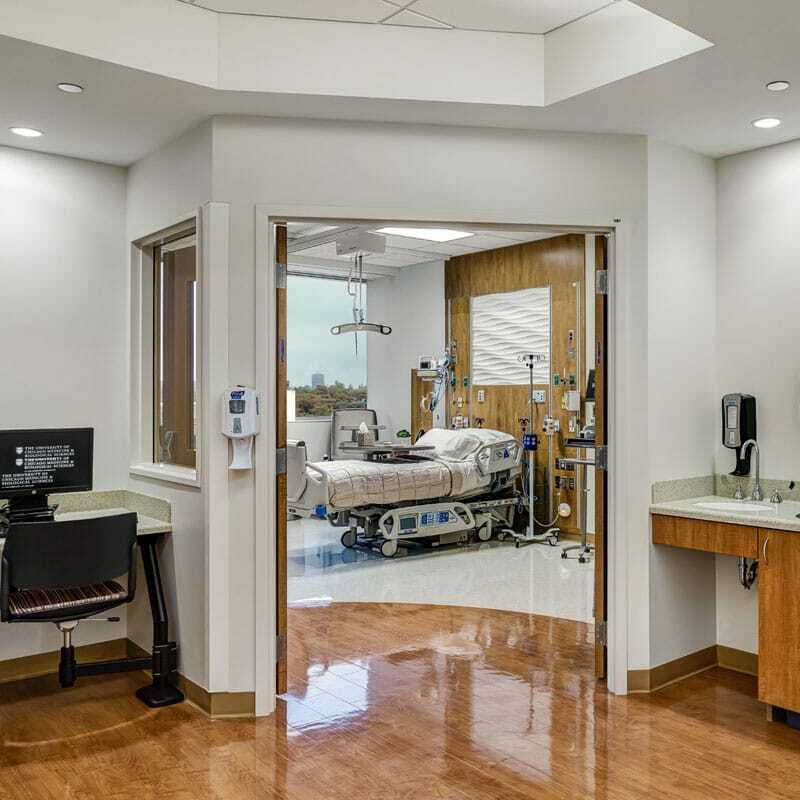 The 3rd floor build-out also included a burn unit, while the 4th floor includes a radial lounge, PT/OT suite, and procedure room for the Heart and Vascular Department. The project team collaborated with UCM during a series of Kaizen events that resulted in design features to optimize flow and maximize efficiency and eliminate waste to improve patient care and safety for patients and staff. 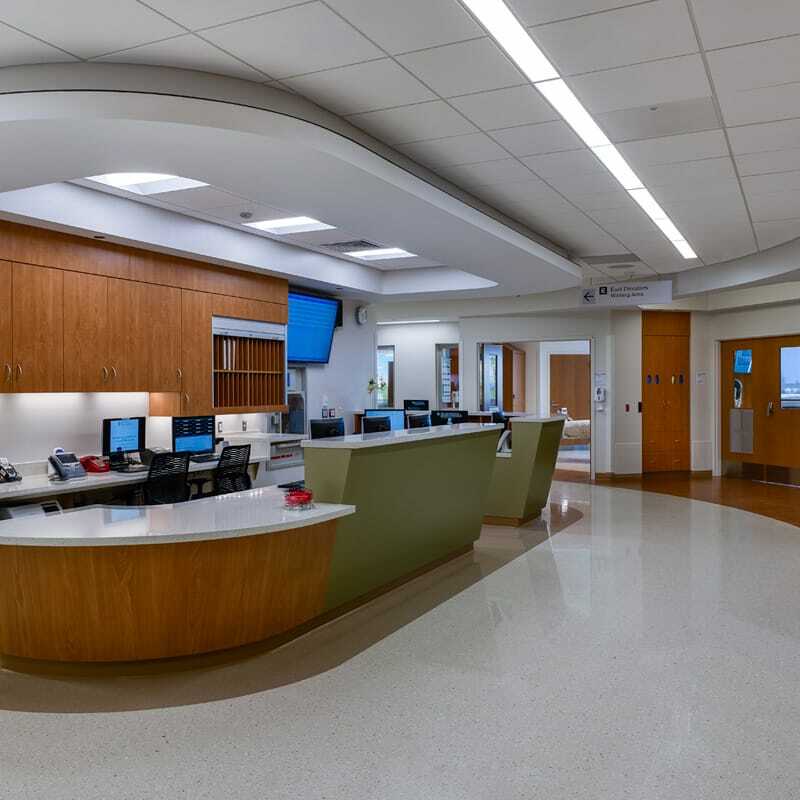 The design enhanced patient visibility and also created standardized support spaces and decentralized supply storage, which maximized support for Lean operations in addition to locating equipment and supplies for a more convenient point of use and enhancing patient comfort. This challenging project was completed in an active hospital environment with strict infection control requirements and situated on a tight urban site. As an additional challenge, the work was located between a procedure floor on the fifth floor and the blood bank and pharmacy on the second floor, resulting in limited access and requiring meticulous planning to eliminate hospital operational impacts. 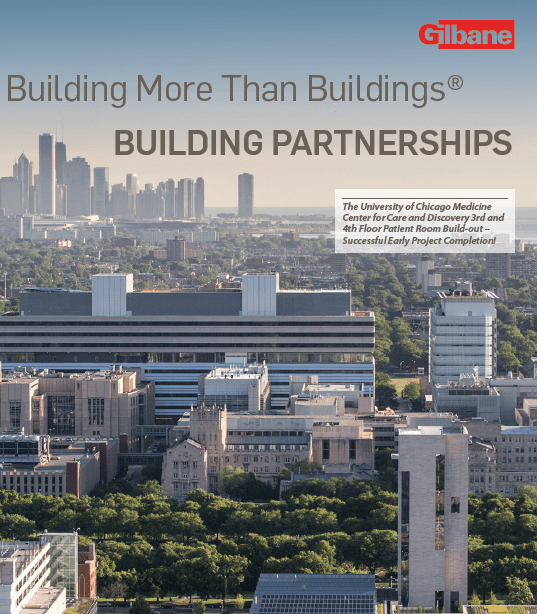 Gilbane delivered this complex project two months ahead of schedule. This monumental achievement was accomplished utilizing Lean practices, Advanced Planning and Scheduling, prefabrication, and leading-edge technology. Early on, the project team faced a challenge of delivering the complex build-out on a tight site and active medical campus with an accelerated schedule delivery. In order to overcome these challenges, the team initiated Advanced Planning and Scheduling up front as they developed the phasing and sequencing of the work. The phasing was continually evaluated and refined throughout the project as part of the continuous learning and improvement process. Once the phases were identified, the team began pull planning to the project milestones, which was followed by detailed, six-week look-ahead planning process that generated the weekly work plans (WWP). The WWP was reviewed daily in the shift start meetings where the prior day’s commitments were tracked. Every week in the trade meetings, Percent of Plan Complete metrics were tracked and recorded for analysis of opportunities for improvement and waste elimination. 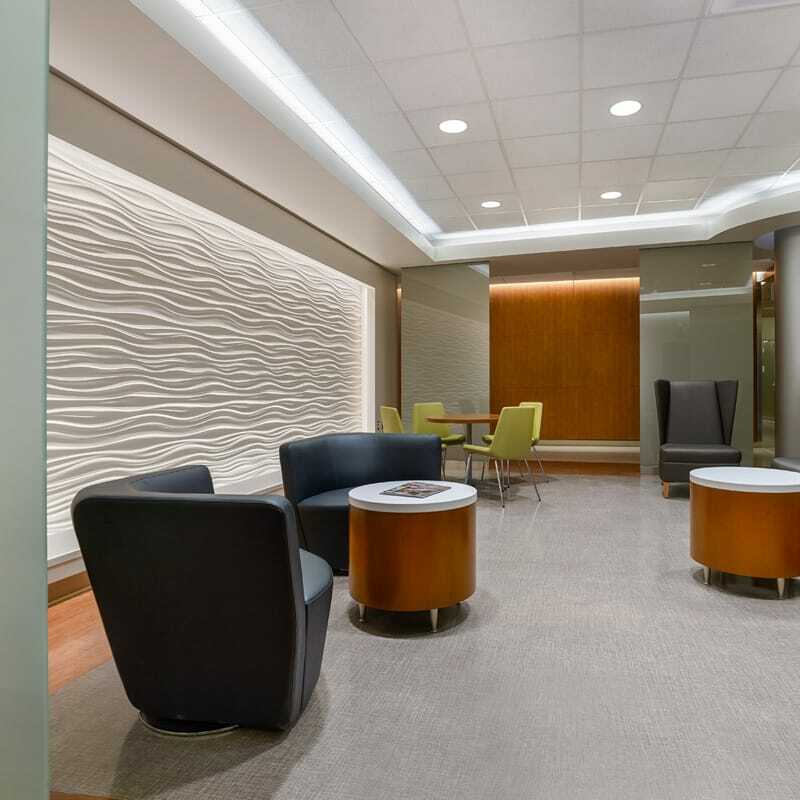 As a result of Advanced Planning and Scheduling and other Lean practices, the team delivered this complex build-out project two months ahead of schedule.